Avory is using Smore newsletters to spread the word online. The first barbiturates were made in 1860's by Bayer Laboratories in Germany. In 1903 it was first used in medical practices. In 1912, a common barbiturate, Phenobarbital, was introduced. Barbiturates have since been replaced, but are still used to treat some types of epilepsy. Jimi Hendrix died of a barbiturate overdose. In low doses barbiturates reduce anxiety, reduce respiration, reduce blood pressure, reduce heart rate, and reduce rapid eye movement (REM) sleep. In high doses barbiturates increase some types of behavior and act like a stimulant instead of a depressant. May lead to tolerance and dependence. Barbiturates dissolve easily into fat, thus have ready access to the brain since they can cross the blood brain barrier with ease. they can also accumulate in fat and can re-enter the blood stream. barbiturates bind to sodium channels on neurons and prevent flow of sodium ions, while increasing flow of chloride ions across neural membrane. 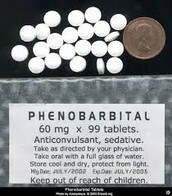 Barbiturates slow down CNS activities such as heart beat, breathing, brain activity, and reflexes. Can cause difficutly breathing, lethargy, allergic reactions, nausea, and dizziness. 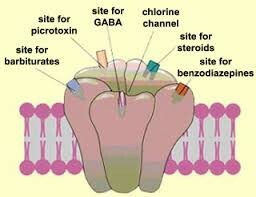 Since Barbiturates can cause dependence they are addictive which can be transferred to offspring. At this point, it’s estimated that 9 percent of Americans will abuse a barbiturate at some point in their life, which includes using a drug prescribed for someone else or taking more than was prescribed. Barbiturates go for $20 a gram street value.